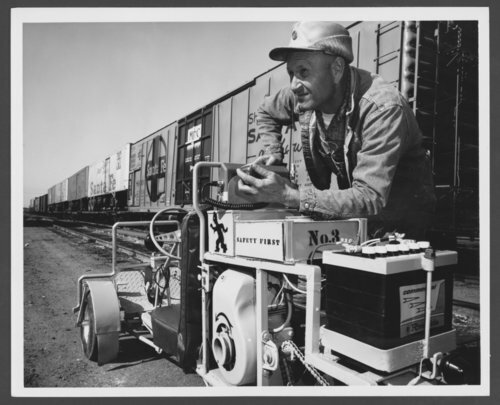 This black and white photograph shows an Atchison, Topeka & Santa Fe Railway Company employee with a radio-equipped "yardbird". This one man vehicle allows car inspectors to inspect freight trains in record time. Atchison, Topeka, & Santa Fe Railway Company's "yardbird"